BOSTON—Arthur I. Segel, the Poorvu Family Professor of Management Practice at Harvard Business School (HBS), has been elected to membership in the American Academy of Arts and Sciences, one of the nation’s most prestigious honorary societies and a leading center for independent policy research. Segel joins 212 other new members of the 2016 Class, which includes winners of the Pulitzer Prize, MacArthur and Guggenheim Fellowships, and the National Book Award. Segel teaches in the Finance and Entrepreneurial Management Units at Harvard Business School, where he has been doing research, writing cases, and teaching courses in real property since 1996. He has written extensively in the areas of securitization, distress investing, development, sustainability, urbanization, and globalization. 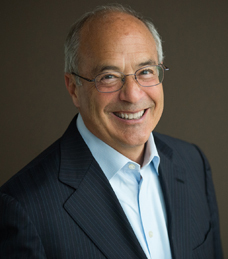 Before coming to HBS, Segel cofounded TA Associates Realty, a large U.S.-based private equity real estate development and investment advisory firm. Prior to that, he worked as a vice president at Boston Properties and as deputy for finance and administration at Massport under Governor Michael S. Dukakis. In 2005, he helped found The Xander Group, a real estate private equity firm focused on South Asia, and the The Tobin Project, a nonprofit that encourages policy-relevant academic research. In 1998, Segel was one of the cofounding members of the 21st Century Fund, a nonprofit for public education. He is on the advisory committees of High Vista, a Boston–based multi-asset fund, and SRB Corporation, an insurance company. He is also a member of the Urban Land Institute, Pension Real Estate Association (PREA), and NAIOP (a commercial real estate development association). In addition, he serves as a trustee of the Boston Symphony Orchestra, a life trustee of Temple Israel in Boston, and an overseer of the Gardner Museum and Brookline Foundation. Private Equity Real Estate Journal has named him one of the 30 most influential players in real estate in the world. An honors graduate of Harvard College, Segel holds an MBA from the Stanford University Graduate School of Business. Other HBS faculty members who have been elected to the Academy of Arts & Sciences are Professor Jay Lorsch, Senior Lecturer Robert F. Higgins, and Professors Emeriti H. Kent Bowen, James I. Cash Jr., Michael C. Jensen, William Poorvu, John W. Pratt, and Howard Raiffa.